Bishop Frank J. Beard of the IGRC, UMC, has appointed Rev Danny Cox as interim pastor of Charleston Otterbein UMC, effective Mar 1st. Rev Cox grew up in the metro-east area of St. Louis. He’s a graduate of Collinsville H.S., Illinois State University and Garrett-Evangelical United Methodist Seminary in Evanston. He has served under appointment for 43 years retiring in 2016. 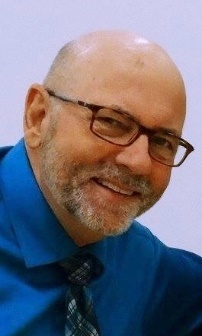 Most recently he served as Sr. pastor of Shiloh UMC near Belleville, Decatur Grace UMC, Crossroads UMC in Washington Illinois and interim at Clinton UMC. Within the conference, he has served as conference chair of evangelism, a delegate to General and Jurisdictional Conferences, Chair of the Order of Elders and Recipient of the Harry Denman Award for Evangelism. Danny has enjoyed being an integral part of communities where he has served. He has been a volunteer fireman, police commissioner and a member of the Lions Club, Rotary, Kiwanis, SERTOMA and parent representative to St. Jude Midwest Affiliate Board of Directors. Wife, Carol, from Oakland IL, is a retired science teacher. She currently works with Ameren, teaching energy conservation to middle schools in the state. They’re blessed with 5 married children & 12 grandchildren.